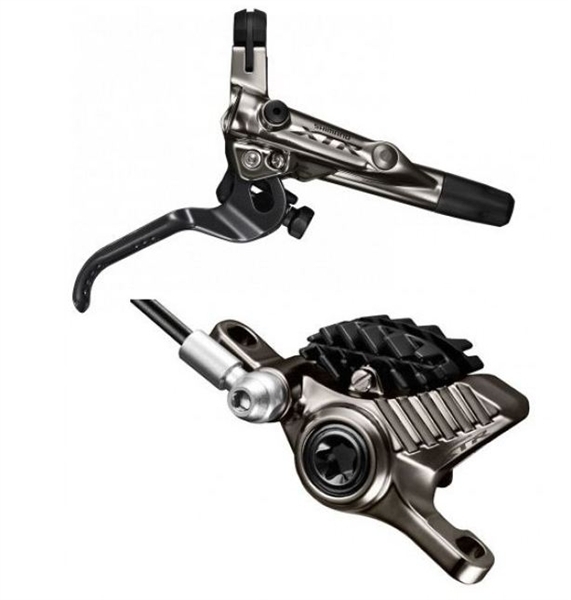 Product information "Shimano XTR Discbrake BR-M9020 Trail"
Shimano New Discbrake with lightweigt brake caliper, carbon lever and titanium hardware. New Piston for better heat managmend and less weight. Special Race Version, WORLD-CUP proof. Thanks to improved control, heat reduction and ergonomics, you'll seamlessly react to terrain changes with the highest level of braking confidence. Thanks to improved control, SERVO-WAVE and ergonomics, you'll seamlessly react to terrain changes with the highest level of braking confidence. The BL-M9020 brake lever is trail-tuned for power and stiffness using a new SERVO-WAVE lever with new carbon/alloy structure for smooth lever activation. Related links to "Shimano XTR Discbrake BR-M9020 Trail"
Customer evaluation for "Shimano XTR Discbrake BR-M9020 Trail"